Well, not all legal scholars suffer from such a lack of imagination. Even some progressive ones. 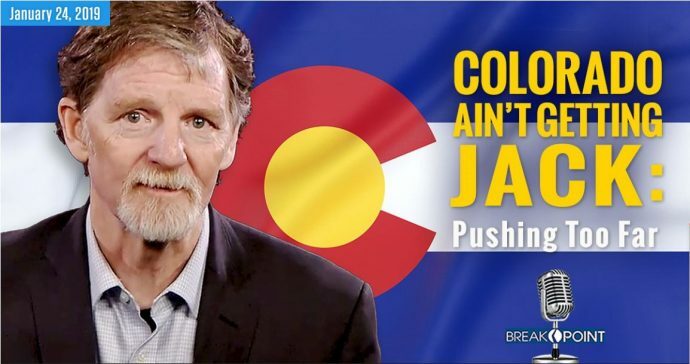 Writing at Slate, a publication both liberal and pro-LGBT, Eric Segall of Georgia State University urged Colorado to cease its persecution of Masterpiece Cake Shop owner Jack Phillips. Segall’s commentary was in response to a federal court’s refusal to dismiss a lawsuit for damages filed against the Civil Rights Commission by the Alliance Defending Freedom. I’ve no idea what Segall means by “other minorities.” I don’t know of any “expressive item” denied to someone on account of their race or ethnicity for religious reasons. But what’s really important in this article is why Segall thinks Colorado will lose.